Matt Curcio is a 27-year-old disability rights advocate who is living with a form of congenital myopathy. He regularly speaks and writes to increase awareness of the disability community’s needs and encourage individuals with disabilities to seek the support they need to pursue their dreams. Yet, even as he advocates for others, he has experienced his own struggles with asking for assistance. “Even at a young age, I’ve considered certain types of help as enablement for myself,” he says. As his disease progressed, he resisted using a mobility device for as long as possible. While Curcio can still walk short distances, he now relies on a mobility scooter outside his apartment. Transitioning to the scooter was a 12-year process. From the outside, using mobility equipment when you can no longer be independently mobile seems simple. However, when you or your child is the one facing the transition, it’s not so easy. Worries about how you will be seen by others, anxiety about the rate of disease progression and fear of the unknown are common. While there is no one-size-fits-all approach to embracing mobility equipment, individuals who have made the transition, and the caregivers and care providers who help them through it, offer some valuable advice. Keeping the lines of communication open can help family members successfully navigate the grieving process. 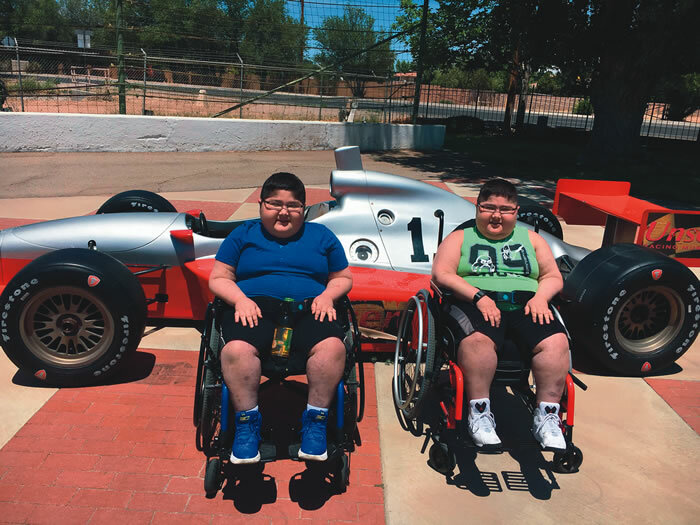 For years, doctors advised Shannon Mosimann to put her 13-year-old twin sons Race and Ried in wheelchairs. Rather than forcing wheelchairs on her sons, who are both living with Duchenne muscular dystrophy (DMD), she asked them if they wanted to continue walking. Ann Motl, a 27-year-old litigation attorney with Charcot-Marie-Tooth disease (CMT), says she would have liked to have been offered the same choice. When she was in middle school, she was told that she had to use a mobility scooter during recess. Race and Ried currently have enough arm strength to propel their wheelchairs, so they are using power-assisted manual wheelchairs. Karen Henry is a freelance writer and editor living with limb-girdle muscular dystrophy (LGMD) in the Denver area.